The block ID, area name and page ID is retrieved from the Database. Using this data, the information from the block's $btTable is retrieved dynamically. The view() method from the block's controller is run. The view.php or custom template PHP file for that block instance is rendered. Some blocks require this level of dynamic processing, but many don't. For those, it doesn't make sense to run through all these steps every time the block is rendered, on every page. Instead, block's can be made cacheable, in various levels. Caching improves performance by reducing the time it takes for the server to render the page, and is increasingly important the more blocks that are placed on a page. To make a block cacheable, simply add any of the following protected class variables to your block's controller. This defaults to true, meaning that it is enabled for block types by default. When this is set to true, step 2 in the list above is not necessary. Instead, the $btTable record data will be stored with the block record in step 1, and will automatically be cached and retrieved. This can almost always be set to true. Defaults to false. When block caching is enabled, enabling this boolean means that the output of the block will be saved and delivered without running steps 3 and 4 above. This means view() will not run. Defaults to no time limit (0). When block caching is enabled and output caching is enabled for a block, this is the value in seconds that the cache will last before being refreshed. Defaults to false. Determines whether a block that can cache its output will continue to cache its output even if the current user viewing it is logged in. When changing any of these parameters in your block type, make sure to refresh your block type via Dashboard > Stacks & Blocks > Block Types. 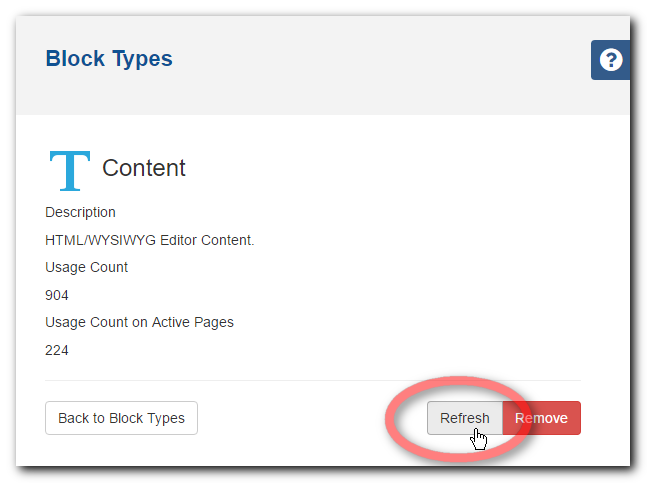 Click on the block type in the list and click refresh. Otherwise the block type record won't be aware that its cache settings have changed. The PHP variables above define the default caching settings for that block type, however you can override the caching rules for a specific instance of a block within Edit Mode. 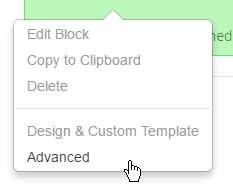 In Edit Mode, select the block you need to edit and choose "Advanced". 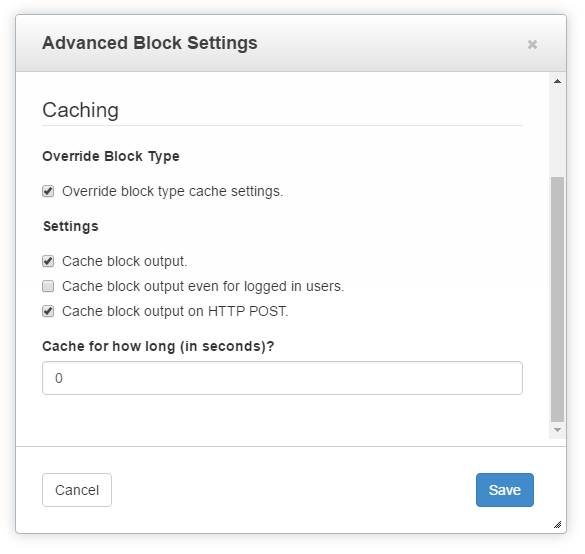 Select "Override block type cache settings"
Apply any overrides to the default caching settings. This will apply only to that specific instance of the block.